This unassuming herb is about to be a household name, perhaps even challenging CBD in popularity. 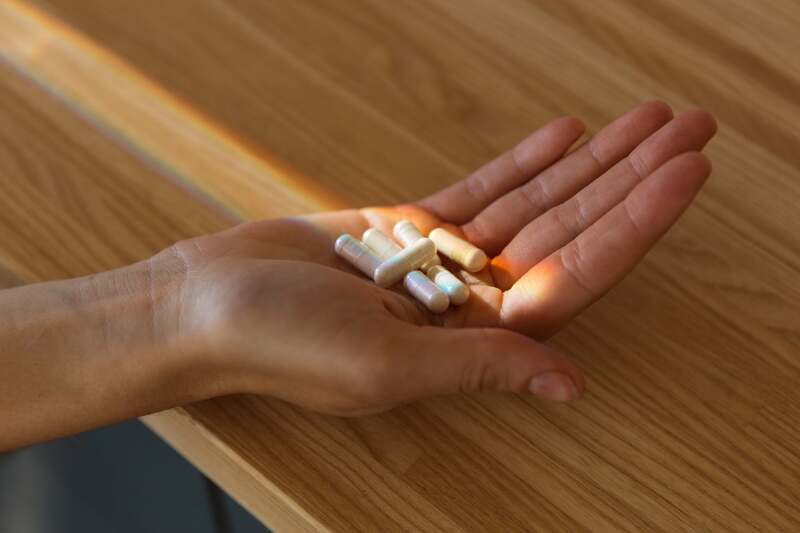 Analysts say it’s on track to be an $11 billion industry by 2024, and yet most people aren’t quite sure what nootropics are, what they can do, and how to use them. We got the 411 on this rising herbal star. As with any emerging field, quality and side effects are still being studied—consult with your doctor to ensure anything, even natural herbs, are right for you. “A nootropic is defined by its ability to support cognition but more specifically memory, creativity, and motivation in healthy people,” says Gabe Kennedy, cofounder of CBD and herb brand Plant People. Previously, products for cognitive health fell into two distinct categories: one that has instant effects but leaves you crashing after a short while or one that requires a long-term commitment, perhaps years, and leaves little indication whether it’s effectively working. A nootropic ticks both boxes—giving you an instant feeling of focus but also supporting your brain health long-term. It’s like having your cake and eating it too. And it’s no wonder users are looking for a natural fix for memory aids and neurotransmitter function repair, thanks to the nonstop distractions from social media, emails, and being endlessly contactable. “Recent reports suggest that around 70 percent of people struggle to feel focused daily–whether that’s at work or with their own to-do lists,” says Jules Miller, founder of The Nue Co.
Nootropics are yet another example of the positive surge of more holistic solutions to everyday problems, rather than a default to pharmaceuticals. The rise of natural aids for everything from pain relief with CBD to sleep aids with melatonin to energy from adaptogens, nootropics are the next solution for that oft sought-after mental clarity and focus. Are all nootropics the same? Definitely not. “As with most supplements, they’re not all created equal, and the same applies to nootropics,” says Miller. Because nootropics are zeroed in on your brain, you want to assure you’re consuming a high-quality product. “Nootropics have lived in the ‘shady’ side of the supplement industry for a long time. There are endless stories about people blending their own formulas and causing damage,” says Miller. As with CBD, whenever a market expands rapidly, there’s a lot of misinformation out there. It’s also not as simple as a set of regulated, standard ingredients. A nootropic simply means a cognitive-supporting product. Even the name, “nootropics,” itself has no regulation. The formulas, potency, and ingredients are up to the companies entirely. Most brands, like Plant People and Sakara Life, use fairly similar plant-based ingredients and adaptogens to boost their products. Natural ingredients like gotu kola for focus and alertness; L-Theanine, found naturally in green and black tea, for concentration; and ginkgo for brain circulation. Some brands add on a special ingredient, though. Like The Nue Co., which will launch perhaps its most ambitious product yet with Nootro-Focus, a nootropic with a hero ingredient called Citicoline. Each brand has its own signature formula, but you want to assure what you’re consuming is of the highest quality and efficacy. Most nootropics should begin working immediately. Some brands rely on caffeine in the formula for an added boost, so be sure to check the packaging to know what you’re consuming and when. For The Nue Co.’s Nootro-Focus, you ideally take it in the morning for all-day energy, while Sakara’s Nootropic Chocolates and Plant People’s Stay Sharp can be taken once a day, ideally when you need it most. Ideally, the more consistent you are with nootropics, the greater the benefits for long-term brain support. Just as consistency is key with probiotics, nootropics tend to only increase in cognitive function benefits over the long run. This field is about to explode in popularity, but here are three options I’ve personally tested and felt a real but calm mental focus from. The science-backed natural brand The Nue Co. has brought you potent probiotics, mood-boosting fragrance, and now a science-proven nootropic. After years of testing, the brand is ready to launch its memory-boosting, brain-cell repairing, neurotransmitter-functioning product. The caffeine-free formula works immediately to reduce anxiety and restlessness while aiding in focus and attention. The Nootro-Focus formula contains six ingredients, five of which are totally natural but with the star of the show being Citicoline. This compound is naturally produced in our bodies, but we’re unable to up our levels through diet (it’s not found complete in any food sources) and it decreases as we age. The Nue Co. Citicoline is 99.8 percent pure, created in a lab with a patented fermentation process. The other five natural ingredients are adaptogenic superstars, including organic lion’s mane, Rhodiola, L-Theanine, and gingko. In testing conducted by the brand, users reported feeling faster motor responses and better memory, focus, and attention—basically feeling more switched on than before. Plant People is known for producing ethical, high-quality CBD. When it came to creating its version of a nootropic, the apple didn’t fall far from the tree. Stay Sharp has a classic adaptogenic and brain-supporting blend of gotu kola extract, ginkgo, rosemary extract, and L-Theanine. But where Stay Sharp veers from its competitors is with the inclusion of CBD in the formula. The ingredients came from an “opportunity to celebrate cannabinoids and nootropics together in a way that increases productivity and brain health,” says Kennedy. The CBD and herbal blend imparts a feeling of reduced stress, mental alertness, and concentration. But over time, the formula is meant to improve the functioning and repairing of transmitters in the brain. While the benefits only build upon themselves with consistency, you’ll feel an overwhelming sense of a calming focus pretty immediately after taking one to three capsules daily. If you’re not big on capsules and pills, give these chocolates a spin. The blend includes green tea extract, along with classics L-Theanine, lion’s mane, and gotu kola. Each piece of chocolate does have 50 milligrams of caffeine though, so don’t take these too close to bedtime. For comparison, a standard cup of coffee has 95 milligrams of caffeine, so two nootropic chocolates would exceed a normal cup of coffee. The chocolate is made of raw, organic dark cocoa with one gram of unrefined coconut sugar. Between the blend of caffeine and adaptogens, you should feel a boost of cognitive function and alertness. Nootropics will be the talk of the town in 2019, so dip your toe into nature’s pick-me-up now—you’ll be able to say you knew the herb way back when, before it became a star.